This is a statistic that reveals the destinations expected by French tourists for their main holidays in 2016. 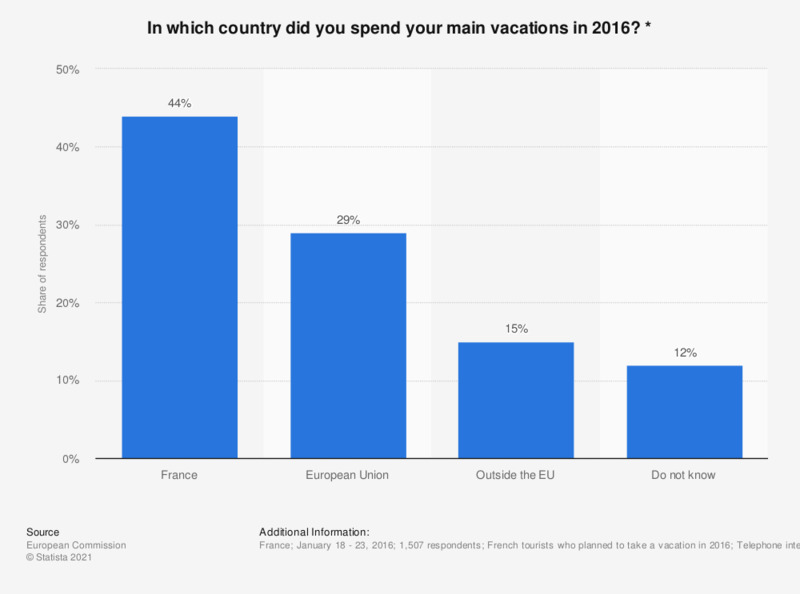 It shows that about 50% of respondents said they want to go on holiday in France in 2016. While 15% wanted to go to another country in outside the European Union of 28. Statistics on "Travel and tourism in France"
Does the current economic situation affect your vacation plans for 2015? For a successful holiday, in which type of accommodation do you prefer to go? What factors are essential for you when choosing a travel destination? To what extent do you agree or disagree with the following statements about leisure travel in Europe?